We Know Dads.™ Let National Fatherhood Initiative® create customized, print-ready, low-intensity print materials for your organization or event! National Fatherhood Initiative®, the nation’s leading fatherhood organization and distributor of fatherhood skill-building materials, leverages its 20 years of experience to develop custom fatherhood-focused materials for organization on topics of your choice that can include your logo, contact information, and other details about your organization, programs, and services. 20 years experience as the nation’s leading organization on promoting responsible fatherhood. More than 12 years experience designing materials for fathers, including fathers of varying races and ethnicities, income, marital status, custody (custodial and non-custodial, and residence (residential and non-residential). More than 12 years experience designing materials for fathers with limited literacy skills. We add your logo and contact information to one or more of our exisiting resources and print for you. Pricing based on quantity desired. *Word count and photo selection restrictions outlined prior to start of project. FatherServices™ puts our professional staff at your fingertips - through customized technical assistance and program planning services to help you plan and/or launch your fatherhood initiative and more effectively engage your community. We have worked with several communities/cities, states and counties on their large fatherhood initiatives. We help bring your community fatherhood vision and initiative to life. 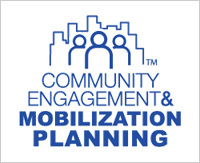 NFI can conduct a workshop to help your agency and partners to create a Community Mobilization Approach™ (CMA) around fatherhood and assist with conducting any or all of the 3 main components: Needs and Assets Assessment, holding a Leadership Summit, and anchoring your initiative. All for the benefit of YOUR children, fathers and families. It has been said, "If we fail to plan, then we plan to fail." 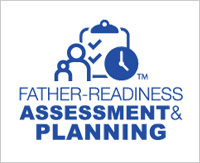 NFI can help your agency (and partners) assess your father-friendliness, and create and implement a comprehensive, targeted plan to increase the readiness of an organization and its staff to engage fathers. 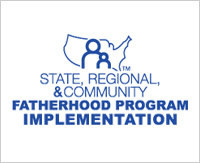 Conducting Father Friendly Check-Up™ (FFCU) workshops at the state, regional, or local levels. Working with your agency and/orpartners to develop action plans using the latest online technology. This approach will allow you and your partners to process, track, and analyze assessment results quickly and easily. They say, "Go BIG, or go home." NFI offers the country’s most widely-used fatherhood programs and we can help you implement them on a large scale across your state, region, or community. We provide you with everything needed to roll out a successful, large-scale program. In fact, two independent studies show that more federal grantees use NFI’s programs, by a wide margin, than any other program. Choose from the following programs: 24/7 Dad®, InsideOut Dad®, Understanding Dad™: An Awareness and Communication Program for Moms, or The 7 Habits of A 24/7 Dad™ . 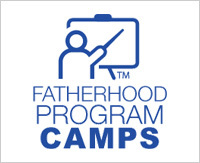 Increase the capacity of your and your partner agencies to serve fathers with NFI’s Fatherhood Program Camps. These 2-day fatherhood program training camps combine your choice of 1 workshop and 1 curricula training and let you hit the ground running. On the first day, choose from the following workshops: The Father Friendly Check-Up™, Bright Spots™, Social Marketing™. On the second day, choose from the following curriculum training: 24/7 Dad®, InsideOut Dad®, Understanding Dad™: An Awareness and Communication Program for Moms, or The 7 Habits of A 24/7 Dad™. Members of our staff are available to present a Keynote speech or other type of custom presentation at your organization or conference. Please contact us to discuss details and topic.